Want to win this? Enter my Giveaway! OK. I promised you a giveaway last week. And today I’m super excited to deliver on that promise! To thank you—my awesome pebble throwing readers—for following me, reading my random musings, and joining the conversation each week, I’m giving you a chance to win this soon-to-be-released Bible by Thomas Nelson. And guess what? You’ll be among the first to own it because it’s not even hitting bookstores until June 7th! I think you’re going to love it! 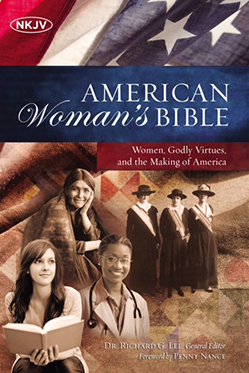 The American Woman’s Bible highlights extraordinary actions and words from influential women in our country who live out biblical virtues. I believe you’ll enjoy the wide array of America’s outstanding women represented in this Bible and find yourself encouraged to make a difference in society and leave your ripple effect on future generations. I love talking about prayer. But even more than talking about it, I love to pray. So, I was ecstatic to receive this very practical and powerful tip from fellow blogger, Lynn Donovan. Lynn and Dineen Miller encourage and equip a fantastic community of pebble throwers over at Spiritually Unequal Marriage. Last week, Lynn challenged us with a 30-day, One Minute Prayer. Today, I am tossing a pebble in your direction by extending this challenge to you. Several years ago a Christian leader urged churchgoers to choose one person whose salvation they could pray for through the season of lent at 1:00 PM, every day, for One Minute. ONE PERSON FOR ONE MINUTE AT 1:00 PM. Wherever they were, those participating, prayed at 1 pm. It wasn’t long into the daily prayers that those being prayed for were repenting and being saved. Hallelujah! I’m wondering if, as a group of SUMites, we could do this? I’m excited to see all that would be possible if we came together as a group and prayed daily at 1:00 pm. Thoughts, Fondly, Karen from Ohio. Consider the ripple effects of hundreds, maybe thousands, of pebble warriors who set alarms on their phones and commit to stop and ask God to bring one unsaved person to mind, and then pray for one minute. Don’t you want to be a part of that?? The day I read Lynn’s post, I began the challenge. Just to keep things real, when the alarm went off the first day, I was riding in the car with my husband with the radio blaring. It wasn’t exactly the perfect prayer setting. But at the heart of this challenge, and at the heart of pebble throwing is stepping out of your normal routine and your comfort zone to commit to do a tiny act of love that matters. Father, who do you want me to pray for today? I was surprised by who God brought to mind. Another day, I was sitting at my writing desk deep in thought. When the alarm went off, I looked up and a neighbor’s house was the first thing I saw. So I prayed for my neighbor asking God for opportunities to talk to her about Jesus. Will you sacrifice 30 minutes—one minute, per day, for 30 days—and ask God to place the person on your heart who needs your intercession? I promise that the ripple effects will be worth every precious second. If you’re accepting this challenge, please say so below. Let us know the first name or initials of an unsaved or hurting loved one you’d like us to pray for. She peeks out from backstage behind the curtains of many faith stories. Her gray-brown hair is tucked behind ears less sharp than they used to be. She lives a hushed life, never calling attention to herself. Her knees are worn out. Not from scrubbing floors, but from whispering prayers. It’s a common theme: along Bill’s or Susan’s broken road to a life-changing encounter with Jesus: an unseen warrior fighting battles on her knees. A grandma or aunt or mom—a force of unwavering love and never-give-up intercession—who undergirds each broken wanderer’s life. “I probably wouldn’t be sitting here today if it weren’t for the prayers of my grandmother,” says Bill. “My aunt’s prayers changed the course of my life. I’m not sure where I’d be if not for her faith,” Susan admits. These unseen prayer warriors toss powerful pebbles in prayer with eternal ripple effects. Has a “pebble warrior” touched your life too? Perhaps you are, or will be, a warrior to some wanderer whose broken life keeps you up at night. Grandma Lois had what the Greeks would call anupokritos faith. Do you see a familiar root word in there? Upokritos looks a bit like the word hypocrite. So Grandma Lois’s faith was an-upokritos, or the opposite of hypocrtitical. Grandma Lois had no hidden agendas in her faith or prayer life. Keep it real. Don’t be a hypocrite. Don’t pray fancy prayers. Just speak from your heart for the people God puts on your heart. Check your motives. Why are you asking God to intervene in another life? Do you want God to fix them so they’ll stop breaking the law, or being annoying, or so your life will be easier? Or is your love and concern for them so great that it spills over into earnest pleas for God to overpower them with His love? God’s Word is clear: our motives impact the outcome of our prayers. Expect fruit. Eunice and Lois prayed and lived sincerely faithful lives that bore fruit. Fruit is seed bearing. The scriptures tell us that Timothy had sincere faith too. When you live a sincere life of prayer and you walk out your faith, your very life ripples seeds that will take root and spread the Gospel by the power of the Holy Spirit . I don’t know about you, but that is fresh water to a thirsty momma who sometimes wonders if my prayers make any difference at all. I wonder if Eunice or Lois ever questioned if anything of true significance would come of Timothy’s life. Well, it did. Not just small things. Powerful things with bountiful ripple effects. Paul, the missionary God appointed to spread the Gospel over the entire eastern Mediterranean region, entrusted his beloved church at Ephesus to young Timothy at a critical point in church history (read more here.) Paul deemed Timothy worthy to carry on the precious Gospel-bearing work that Christ Himself had entrusted to Paul. That is no small thing. So the next time you find yourself weary in prayer for the broken wanderer in your life, remember the seeds you’re prayer-planting. Pray for God to bring a Paul to water the seeds. Pray for the Spirit to help them to take root. And don’t forget to expect fruit. Do you have a “grandma Lois” who prayed for you? Are you a pebble warrior who is holding on in prayer for one you love? Share below! In the foreword to Jon Bloom’s book Things Not Seen, Ann Voskamp shares a story about a man who labors long and hard weaving baskets. It takes him years to cut trees, plane lumber, sand, refine the reeds, and weave a mountain of baskets. As he weaves each one, he prays. When he’s finished, he takes a match to them. They turn to ash. Years of work vanish in an instant leaving the weaver with nothing to show. Nothing in the seen world, that is. Because his real work wasn’t in the seen world of weaving but the in the unseen world of praying. Never underestimate the ripple effects of the hidden work of prayer. I will be blogging about “the greater work” of prayer for the next few weeks. It’s a practice near and dear to my heart and perhaps the most powerful method of throwing pebbles to impact change. You probably know that the ripple effects of our prayers have little to do with the eloquence of our words. Even though we know this, we… okay, I sometimes fall into this trap. Prayers peppered with holy words and phrases like “for your glory” and “empowering” and “sanctification” are no more powerful than simple, honest prayers. I’ve prayed in groups, classes, on streets, at conferences, over meals, and in church services with the most seasoned of prayer warriors and some true giants in prayer. Through these experiences, I’ve come to believe that God’s heart sings when He hears a fumbling prayer. That prayer is a sacrifice. It’s an “I-can’t-lead-your-people because-I-have-sp-sp-sp-speech-impediment” kind of prayer. this post is for you. Moses gets you. And so does God. God loves your prayers because those who offer reluctant prayers with knees knocking need Him. They aren’t self sufficient. They are God sufficient. But don’t just take my word for it. Listen to what Jesus said about a self-righteous man who prayed fancy-pants prayers. The Pharisee’s prayer exalted his own “righteous” acts—what he was doing for God. But Jesus praised another man for his prayers, a tax collector, who begged to God out of his desperation. The tax collector needed God. The Pharisee, not so much. Jesus also warned his disciples not to pray for the sake of being heard or seen by others. People like Janine remind me of how Jesus wants us to pray. She is not an eloquent, “I’ve-got-this” kind of prayer warrior. But Janine’s prayers touch my heart more than most seasoned pray–ers. When she prays, she simply talks to God about her needs and concerns, for herself and for others. Janine’s raw, honest prayers move my heart because I believe they deeply touch God’s heart. So come. Throw a pebble. Say an awkward prayer. Badger God. And take courage in knowing that He delights in choosing to involve you and every fumbling, bumbling word in His powerful Kingdom work. She was unlike any other mother I’d ever met. Her mile-wide smile made her molasses eyes sparkle. The labor and delivery of her son (her fourth child of eleven) took place in a mosquito-infested swamp. She was married to one man along with 11 other wives. Her name is Eseza and she’s one of the most amazing moms I’ve ever had the privilege to meet. My husband and I boarded three planes, a subway, a van, and two cars to interview our Ugandan friend, Pastor Elijah Sebuchu, and visit his mother’s remote East African village. Before entering her cinder block home we walked past her “kitchen,” a fire and some pots set up under a crude palm-roofed hut. Eseza welcomed us with hugs and bottles of water as if we were royalty. I turned on my digital recorder to begin the interview for the book I’m writing about Elijah, who sat close by translating her Luganda words into English. My heart ached as she spoke of the utter horrors of raising a child in the bush country of Uganda. Starvation. Disease. No medical care. Tribal massacres that forced her and her tiny children to flee their huts and sleep in a jungle creeping with machete-wielding soldiers, venomous snakes, and hungry tigers. presented at the 2006 Global Summit on AIDS and The Church at the invitation of best-selling author, Dr. Rick Warren. The crazy contrast between this world changer sitting across from me and the terrible awful that permeated his childhood was perplexing. It made me wonder, and perhaps you’re wondering too as mother’s day approaches. And so I asked. My brain and recorder had collected dozens of golden nuggets for my book and I was full. Almost satisfied. But I had one final question before placing a period at the end of our interview. She sat and stared in silence and we waited. A huge lump formed in my throat as I heard her say those three words. The glue that bonded all her pebble-throwing efforts to shape Elijah into a powerful man of Godly character was love. Love trumps all. “If I speak with human eloquence and angelic ecstasy but don’t love, I’m nothing but the creaking of a rusty gate. If I speak God’s Word with power, revealing all His mysteries and making everything plain as day, and if I have faith that says to a mountain, ‘Jump,’ and it jumps, but I don’t love, I’m nothing. If I give everything I own to the poor and even go to the stake to be burned as a martyr, but I don’t love, I’ve gotten nowhere. So, no matter what I say, what I believe, and what I do, I’m bankrupt without love” 1 Corinthians 13:1-3. “Love them most.” It’s my mother’s day gift to you as you endeavor to raise children who put love into action. As for me, if I pray eloquent, powerful prayers for my children and speak all kinds of truth I learned at Bible Study, but nag and guilt them, and stare at my iPhone more than I look into their eyes, then my words are fingernails on the chalk board of their hearts. None of us gains anything. We are all bankrupt. It’s all held together with love. Not love the thought, but love the verb. Need a mother’s day gift? Please consider honoring your mom and Eseza with a donation to help open Hands of Love’s infant orphanage which was built and named in her honor. These fabulous young pebble throwers are making it easy for you. Just watch the video and consider throwing this very significant pebble to save little lives in Uganda. Click here to see some amazing pebble throwers in action! It was the dreaded question. “How’s your book coming?” I sighed and confessed to my friend, “Some days when I write, I feel like I’m swimming upstream in molasses.” There’s a reason it’s called writer’s block. You feel like you’re moving—or typing—but not getting anywhere. The next day, a writing partner threw me a pebble that rippled a lifeline into my molasses stream. She texted me a one-hour writing challenge and offered to pray for me. That afternoon, I wrote like Michael Phelps swims, my hands skimmed swiftly across the keyboard and the ideas overflowed. Her pebble made all the difference. Years ago, when battling through a particularly dark season of my life, the postal carrier delivered a box with a butterfly on the front. My friend knew about my trial and remembered how I’d seen beautiful butterflies nearly every day—God’s creatures of transformation, a reminder of our new nature in Christ. I opened the butterfly box and discovered a huge stack of index cards inside (like 40 or more). On each one she’d hand-written a scripture dated with when she prayed it for me! That small box of encouragement still ripples truth into my life and I remain forever grateful for this extreme act of encouragement. The butterfly box was significant because words matter to me. As a communicator and writer, I adore words and my friend knew that. So, before you pick up your go-to pebble of encouragement, consider who you’re uplifting and how they are wired. For you, agape love might come in the form of a plate full of warm, gooey chocolate chip cookies. But how does the person you’re encouraging best receive love? Do you know their love language? If not, find out. A words of affirmation person might want a long note, but a quality time person might prefer a quiet walk together. Your acts of service friend might appreciate a homemade meal more than words can say. My friend is wading through an extremely difficult chapter in her life. I asked her, “What’s the best way others have encouraged you?” It didn’t take her long to answer. My hope for this blog is not to simply talk about throwing pebbles but to inspire you to act. So here’s my “molasses challenge.” Take a moment to think of one person who’s in a dark season, knee deep in molasses. How can you ripple some light into their darkness? I’ve started a list of ideas, but I’d love to hear from you. Please share below and I’ll draw from all who leave comments and send the winner a gift card! Hit the kitchen and whip up a home cooked meal or swing by your favorite take-out place. Even a simple entrée offered in love can make the heart smile. 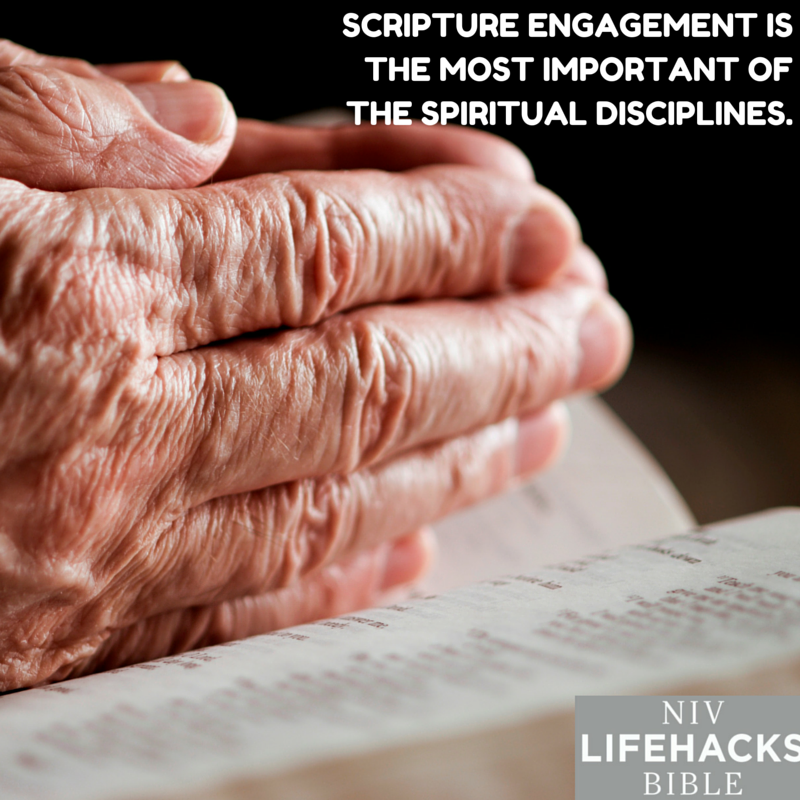 Pray and ask God to show you a special scripture just for them. Spend an evening creating a scripture doodle. Roll it up and tie it with a bow, or mail it to them. Spring is in her glory in the Southeast right now. Last week, I waved to a crowd of happy children catching minnows and lizards in my friend’s side yard creek as I walked inside for afternoon tea. I love how Spring brings out the inner Thoreau in each of us. Three moms were deep in conversation and tea drinking when my friend’s four-year-old son abandoned his minnow net and suddenly burst into the kitchen. James looked distressed and headed straight for his mom to inform her of his brother’s less than kind treatment. I was impressed by my friend’s response. Still rubbing his booboo, James pulled himself together and was able to return to the creek for more lizard encounters. My friend isn’t a perfect mom, but her intentional and kind response tossed pebbles of tenderness and grace into her son’s world at a time when he really needed some TLC. We live in a world that undervalues these pebbles. Today’s post goes out to an often overlooked group: moms who are training their kids to be grace givers—children who pay attention to those who are hurting and take time to toss pebbles of their own. When I witness a mom giving careful attention to one who is often overlooked or misunderstood, I’m reminded of Jesus. While the culture of His day often ignored children and women, Jesus paid them attention. In His eyes, women had so much worth that they were given some of the most significant roles in the Bible. I’ll come back to that in a moment. Check out this clip of a son raised by a feminist mom who asks Christian apologist, Ravi Zacharias, an outstanding question: Does God favor a gender? It’s no mistake that a woman—Mary Magdalene—was reported as the very first eyewitness of the resurrected Savior, according to Mark 16:9. In fact, in all gospel accounts of Jesus’ appearance after His resurrection, all of the original eyewitnesses are women. Jesus first entrusted womankind with the Gospel. And He is still entrusting us with that very same Gospel today. Moms, He trusts you with the Gospel in your own homes, with your children. By showing your children you’re not a perfect mom, but one who loves and cherishes them enough to take time even when you’re tired, you are extending the Calvary-purchased love of Jesus Christ. 1. Take time to gather. It’s not the food on the table but what’s shared in the gathering they’ll remember. 2. Take time to hear. Profound healing takes place in the simple act of listening. 4. Take time to pray. You’re shaping lives on your knees. 5. Take time to repent. 6. Take time to rest. They need rest too. Your example paves the way to healthy habits. And makes you a happier momma. Take time. Join the conversation. In what small ways to you “preach” the Gospel without words to your family? I went out on a limb recently. I agreed to read and help promote a book for someone I don’t know. The author belongs to the literary agency I’m blessed to be a part of. I firmly believe you reap what you sow and I believe in serving my fellow authors. Someday, when I’m in the process of launching a book, I will need many willing readers to review and share it with all their closest friends (hint, hint). So I jumped at this opportunity. What if I don’t like the book? That would put me in an especially sticky predicament. But I’d already said yes. Days later, my copy of the book arrived and I dove in. Guess what, friends? I didn’t like the book. I loved the book. Whew! And I think you’re going to love it too. A Mary Like Me: Flawed Yet Called by author Andy Lee looks into the hearts of five different Marys in the Bible juxtaposing their imperfections with their divine purpose. This book isn’t simply a study resource but a tool for women to consider their own hang ups and dreams, and how God might use both for His greater kingdom purposes. I wonder how Mary sitting at Jesus’s feet, while Martha toiled away, could be useful? I wonder why five men divorced the woman at the well and the sixth refused to marry her? I wonder if it ever slipped Mary of Nazareth’s mind—given that Jesus had become very much her son—that Jesus was also God? As I wondered right along with the author, Andy dug deep into the original Greek or Hebrew (and sometimes even Aramaic) words that acquaint us with the Marys and lend depth to their thoughts and interactions. Her relentless inquisition of the text, creative imagery, and strong Biblical foundation made this book a stunning read. (It’s no wonder. 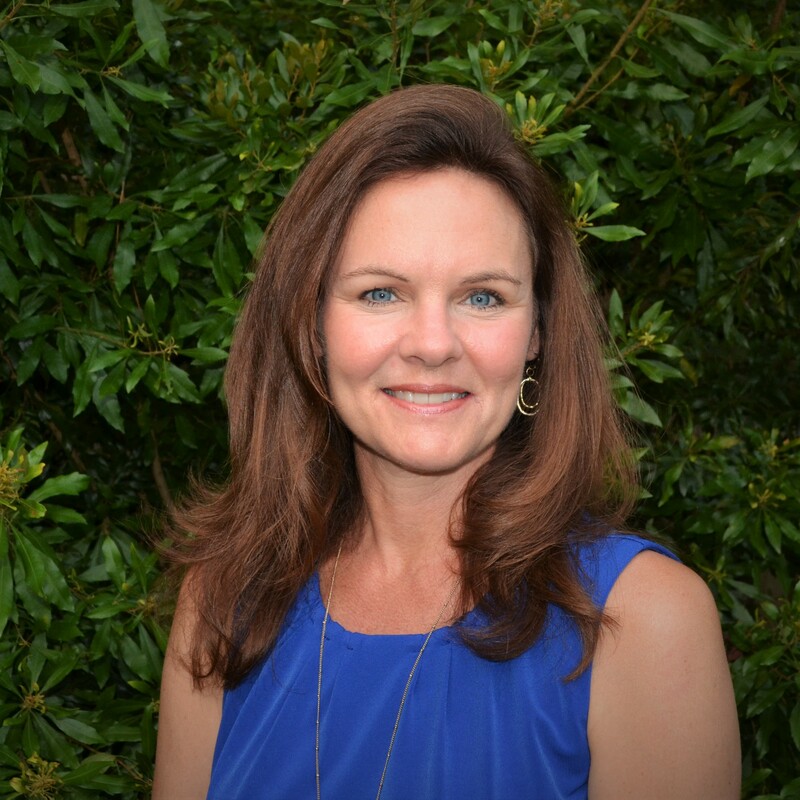 Andy has her ministerial certificate degree from Eastern Nazarene University and has taught Bible studies for over twenty years.) Line by line, her experience and depth of biblical wisdom lend weight, wisdom , and wonder to the reader. The cherry on top of my Mary Like Me sundae was when Andy got personal. I didn’t expect God to use this book in my life. I set out wanting to bless a writing colleague. But in His boundless grace and wisdom, God had other plans. As Andy uncovered the human frailty of these women, I began to catch glimpses of myself. The Holy Spirit whispered to me about my flaws, my dreams, and my calling, and reminded me of His grace, His faithfulness, and His favor. Joyful tears stained my cheeks as God used A Mary Like Me to remind me of buried dreams and boost my passion to pursue current ones. God has a habit of doing that. He begins by inviting us to bless others and He finishes by blessing our socks off. One more thing about this book—make that one more word. It’s a word I use rarely and selectively. I believe it is touched by the Holy Spirit. I think it no coincidence that it took a total of seven years for her to write and publish this book and seven is the heavenly number of completion. I wonder if God might use this deep and colorful examination of God’s flawed-yet-called Marys to speak to you. Enter a comment below and one week from today I will randomly choose a winner to receive a free copy of A Mary Like Me. You do the math. Three sweaty boys, plus one water feature, plus a 75-degree March day equals? I sat in the designed-for-solace prayer garden behind my church and next to a playground. The boys were unsatisfied to simply splash in the garden’s water fountain. It wasn’t enough for them to toss a few rocks into its base. Nope. Instead, it added up to some major water play. First, the red-cheeked boys tried plugging the water flow with their finger. Then they sprayed each other with the spout. Then they began inserting different sizes of sticks into the opening of the fountain desperately hoping it would cause a rocket-like explosion. Much to their dismay, the mom in me intervened asking them politely to refrain from inserting said twigs into the church’s water feature. I just love boys. They always seem to go all in. Adjacent to the fountain, I noticed an empty bench. All at once, a thought came: I wonder if Jesus is sitting here right now watching these boys. Perhaps He’s smiling. Maybe even laughing. And maybe even getting wet. It made me think of the other well where a thirsty Jesus sat with a woman at high noon. When Jesus met her at the well, she wasn’t frolicking in the water, but drawing water. He asked her for a drink. Then, God invited her to partake of the living water and promised she’d never thirst if she drank the water He offered. Next, Jesus spoke words that have been written on my heart ever since I first read them. “Yet a time is coming and has now come when the true worshipers will worship the Father in the Spirit and in truth, for they are the kind of worshipers the Father seeks. God is spirit, and his worshipers must worship in the Spirit and in truth” John 4:23-24. Lord, shape us into a family of true worshipers who worship You in the Spirit and in truth. Whenever God gives me a prayer, my mind envisions one thing, and His an entirely better, higher purpose . As I slowly learn how to worship in Spirit and in truth, God is elevating and expanding my understanding of worship. The same Jesus who gave truth and living water to the woman at the well thousands of years ago did the same with me by the water feature this week. My unexpected and spontaneous encounter with the Living Water taught me another aspect of true worship. Jesus and I caught those pebble-throwing boys in an act of true worship, a pure and holy moment of boys being exactly who God created them to be. When a child of God does exactly what he or she is made for, it glorifies God and makes Jesus smile. I believe this is one important aspect of worship. Those sweaty boys may not realize that God shaped their water fight into a moment of true worship, but the ripple effects were significant. He used them to remind me that true worship is being. Come to the well and dive into the conversation by leaving a comment below. How do you define worship? In what ways do you worship God by doing exactly what He made you to do? What ripple effects do you see as a result?